Visit the legendary poker pro Tony G’s online gaming heaven and immerse yourself with a fantastic selection of CS:GO, Dota 2 and League of Legends matches. 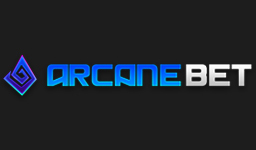 Choose from a heap of different markets and find comfort in betting securely with the site operating for 10 years. Get a flying start with up to £200 extra cash on your first deposit and always receive your cash outs in a timely manner. Switch up your fun with a pleasing choice of gambling products and download a neat mobile app to make every experience on the move a great one. Learn more about Tony’s thrilling abode by reading the full review or pay a direct visit to his home by clicking the button below! As a new player beginning your betting journey with Tonybet, you’re able to enter the above bonus code when making your first deposit. By doing so your deposited money will be matched by an extra bonus amount up to a maximum of €200. 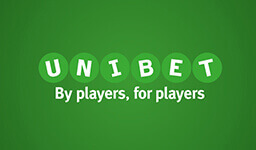 Should you for instance deposit €150, you’ll receive €150 extra and get a total of €300 to bet with. The bonus works a little bit different than you might be used to as the bonus money won’t be instantly credited to your account. Before receiving the extra money, your deposited amount has to be wagered 10 times on live or pre-match bets with odds 1.65 or higher within 30 days. As soon as this is done your bonus money will be credited. From here all you have to do is to wager the received bonus amount once on live or pre-match bets with at least 1.65 in odds and then the money and all your profits can be cashed out. Tonybet has its own team of odds compilers that are working around the clock to provide a fantastic coverage for the most popular eSport games. 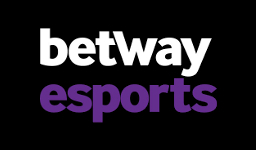 You’re able to find plenty of pre-match bets on CS:GO, League of Legends and Dota 2, including a good range of entertaining markets to choose from. If you appreciate betting on live matches, Tony also does a pretty decent job providing a handful of betting options for the most anticipated tournaments and match-ups. Betting with Tony the amount of bonuses that can be used for eSports is quite limited, but if you appreciate betting on traditional sports or playing poker you’ll find a pretty nice selection. As a new eSport punter your best bet is with the welcome offer which has the potential to turn into quite a nice cash out if you choose your bets wisely. Being a returning bettor you will of course not go empty handed as all players are greatly valued and loyalty always rewarded. Having made a nice profit, your cash outs with Tony will never have you waiting too long for the money. All withdrawals are usually processed within 24 hours and rarely longer than 48. On top of that, you’re sometimes able to have a chat with the friendly customer support that will make sure the processing of your cash out is prioritized. Placing your eSport bets with Tony you can expect your coupon to be settled within minutes after the match finishes. This is regardless of being a live or pre-match bet. Unfortunately there is rarely any settling taking place during the match, but as soon as it finishes you’re bound to get your cash credited quickly. There are of course rare occasions when no results are available and it can take a little bit longer. When it comes to customer support, Tonybet rarely disappoints. They don’t have a full 24/7 hour service, but their agents are available on e-mail, phone and live chat the vast majority of the time. Their opening hours are 07:00 am and they close at 03:00 am (UTC+2). Should you be a fan of betting and gambling from your tablet or smartphone, you’ll be very pleased with Tonybet. Not only is their website nicely adapted to mobile devices, but they have a high quality app available for both iOS and Android which makes the experience really smooth. As much as we think Tonybet is an overall great place for eSports betting, they don’t have that many site features to impress us with. The navigation is of course a splendid one and you’ll easily find all the things you need, such as betting history, loss limits and other settings. On some bets you’ll also find a cash out feature allowing you to profit from matches before they have finished, but other than that there’s nothing new. At Tonybet you’re able to pick from 400 different casino games, including slots from a range of popular providers and plenty of table games such as roulette, blackjack and casino hold’em. You’ll also find a fully packed live casino from NetEnt, Lucky Streak and Evolution Gaming. Being a site created by a poker pro, Tony G has of course also made sure to include a poker client. This is running on its own network, which is quite unique among gambling sites. It isn’t the most crowded network, but you’ll find a fair amount of action. As a fan of CS:GO, Dota 2 or League of Legends, Tonybet offers a pretty nice selection of different markets to choose from. In the below list we have gathered all of those that we have seen available so far. For other games than these three the markets are usually limited to match and tournament winner. It should be mentioned that all of the below listed markets won’t always be available for every match, even though many of them are likely to be. If you find a market you’d like to bet on missing, Tonybet is always open for odds requests, meaning that you’re able to contact the customer support and ask them to have the market added for you. Argentina, Austria, Bosnia, Brazil, Canada, Finland, Germany, Iceland, India, Italy, Malaysia, Norway, Philippines, Poland, Russia, Sweden, Switzerland, UK, Ukraine. Australia, China, Denmark, France, Indonesia, Ireland, Israel, Lithuania, Nigeria, Romania, Portugal, Singapore, Slovakia, Spain, Turkey, UAE, USA.